AXXE is an OMRI Listed herbicidal soap that is tough on weeds, but easy on the environment. 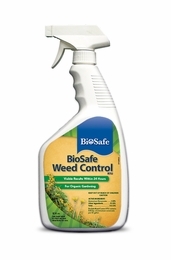 Burn down a broad spectrum of plants to maintain weed-free patios, walkways, and driveways. Use AXXE as a spot treatment in gardens and landscapes to eliminate back breaking hand weeding without harming the soil.